LOL! 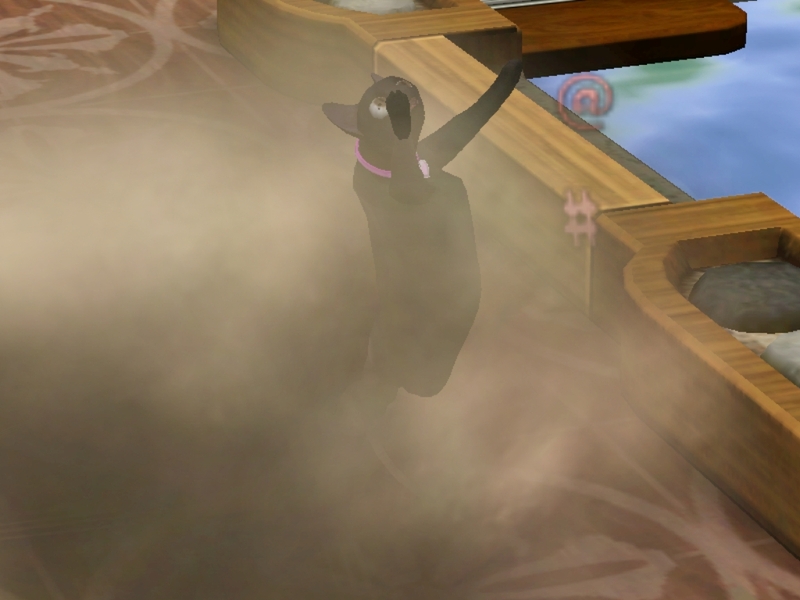 It’s so funny to see the antics that Missy and Lucifur got into. I bet you were having a good time playing them and laughing. I was cracking up at your dog barking at the cat yowling at the stereo. Hehehe. Sounds like something my dogs would do. Love it! 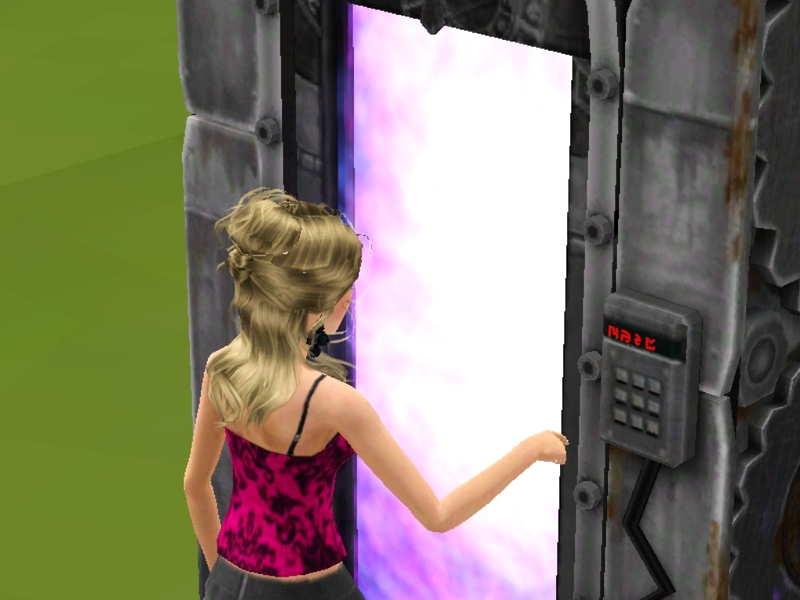 Missy has to be one of my favorite sims I have created. She is suppose to be evil, but really she is just goofy. 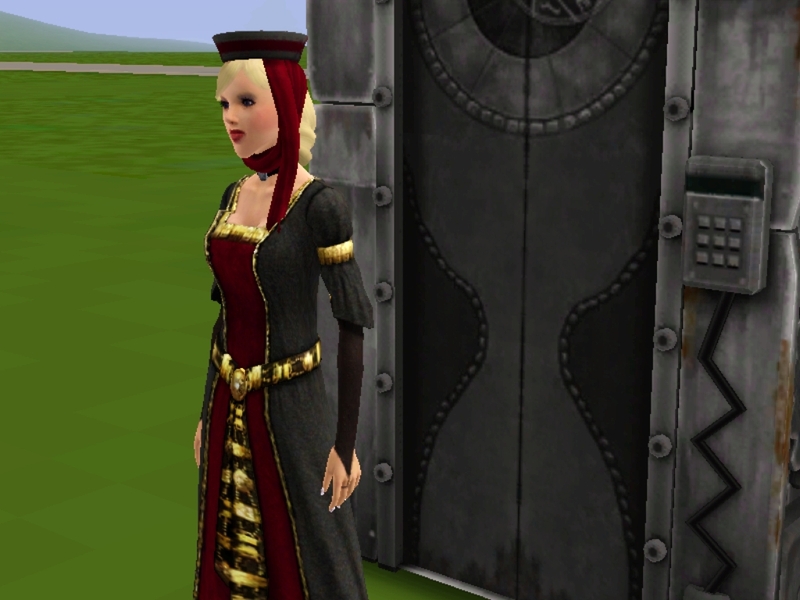 Those clothes from Ye Olden Times really do suit an evil stepmother, hahaha! 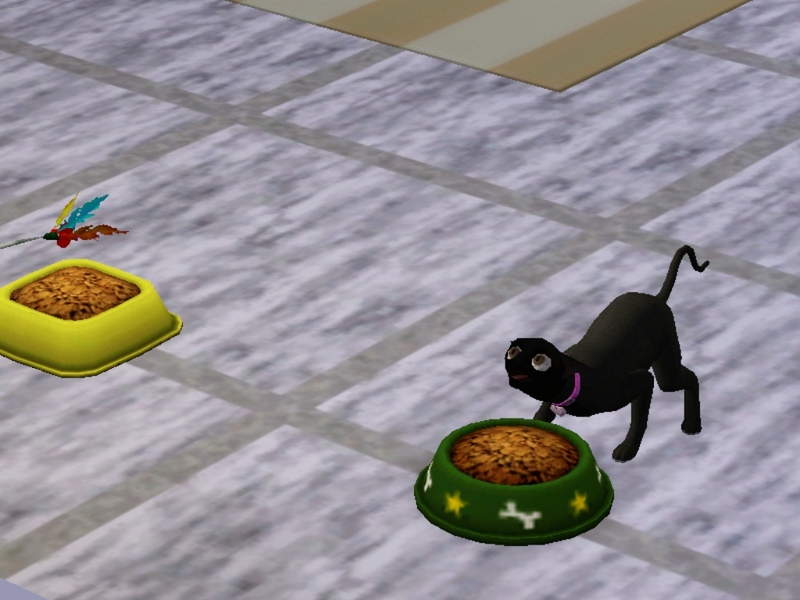 The main character of my Cat Chronicles story, Shadow, loves to sit over his food dish and hiss constantly as he eats, too. 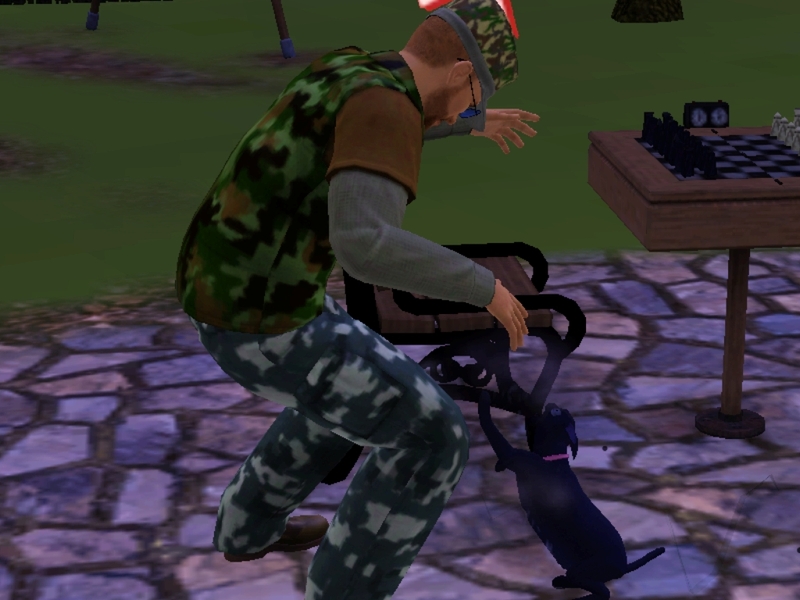 I always assumed it was because he has the Aggressive trait, but since Lucifur doesn’t have that trait, now I really don’t know what causes kitty to get so territorial over his food! I have quite a few kitties in that household too, and not all of them have that quirk (though Shadow’s kittens seem to have picked it up from papa, heh). For him it seems to be the dishwasher that is next to the food dish that he loves to hiss at while he eats. I like to think he believes that since it eats food bowls, it is constantly trying to get to his food bowl to eat it, too. I am not a cat person in real life (although I do have one). 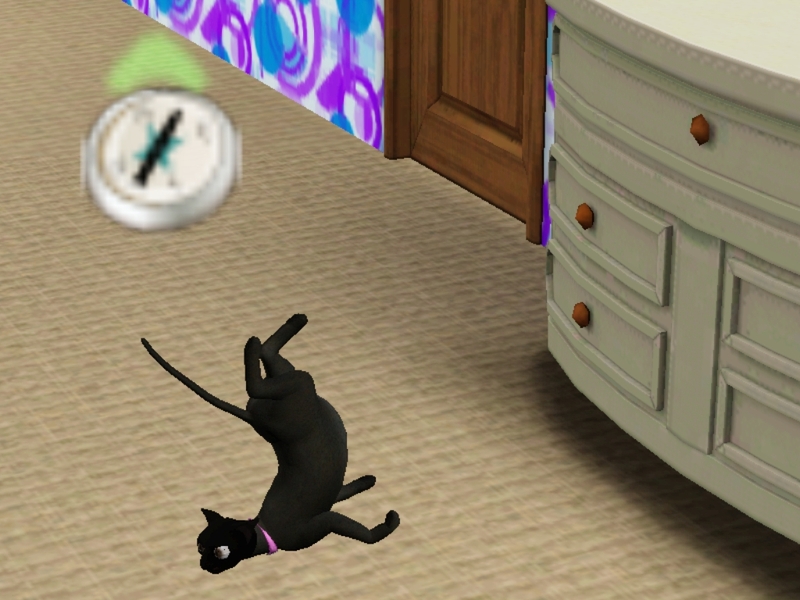 But Sim-cats are just hilarious!!. 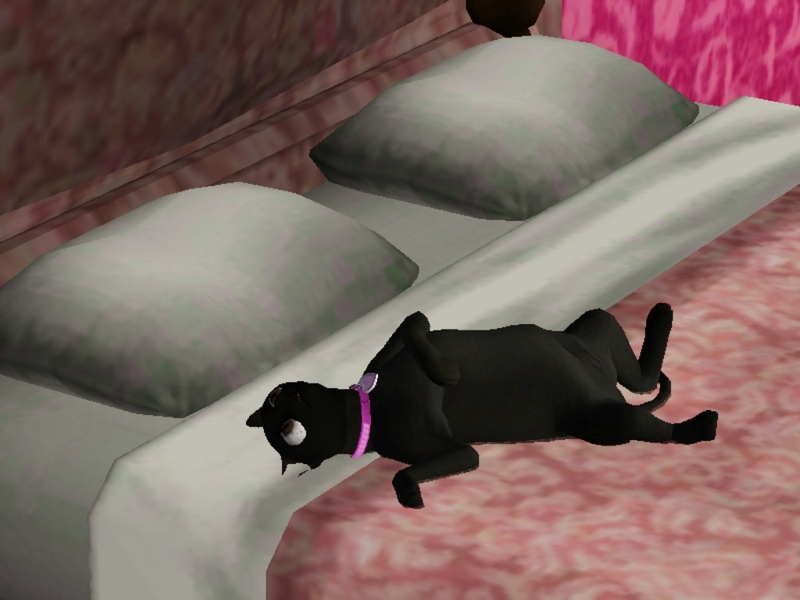 None of the other cats that my sims own hiss as much as Lucifur. Thanks again for the comment, and I will definitely have to check out your Cat Chronicles. 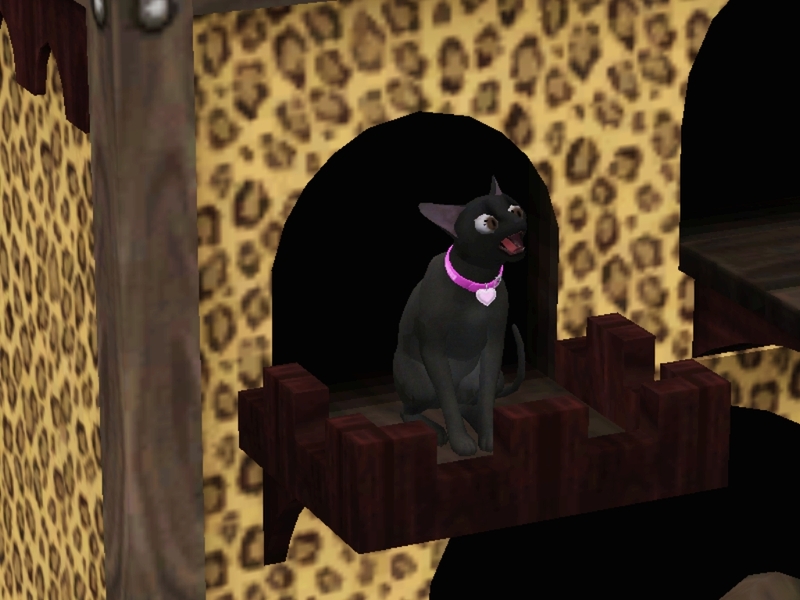 I am not the biggest cat person, but sim cats are hilarious. and Lucifur is no exception. 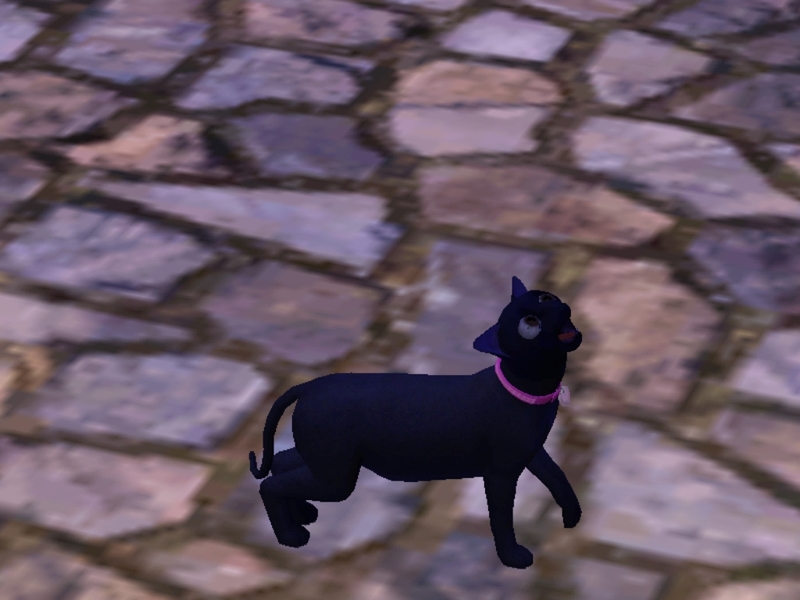 I actually modeled Lucifur after my black shorthair cat, and not so much like the cat from the Disney movie (although I couldn’t help but use the same name). had me chuckling all the way thru. I’m not a cat person either, but they have their moments. I took so many pictures of Lucifur that I just had to put them together in a chapter. Thank you again for the sweet comment! I know right!! 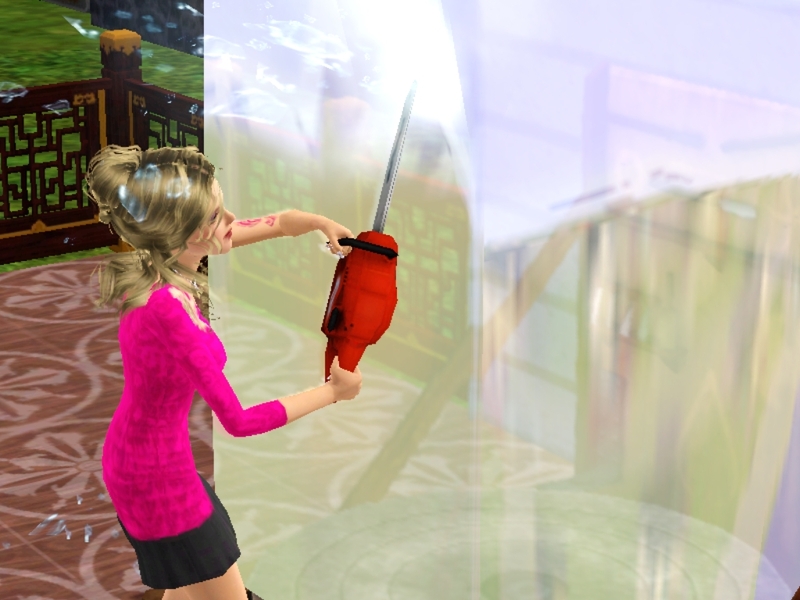 I tried to make Missy evil, but she was just too funny instead! Lol, Lucifur’s eyes are so funny. You probably had some good time playinh. 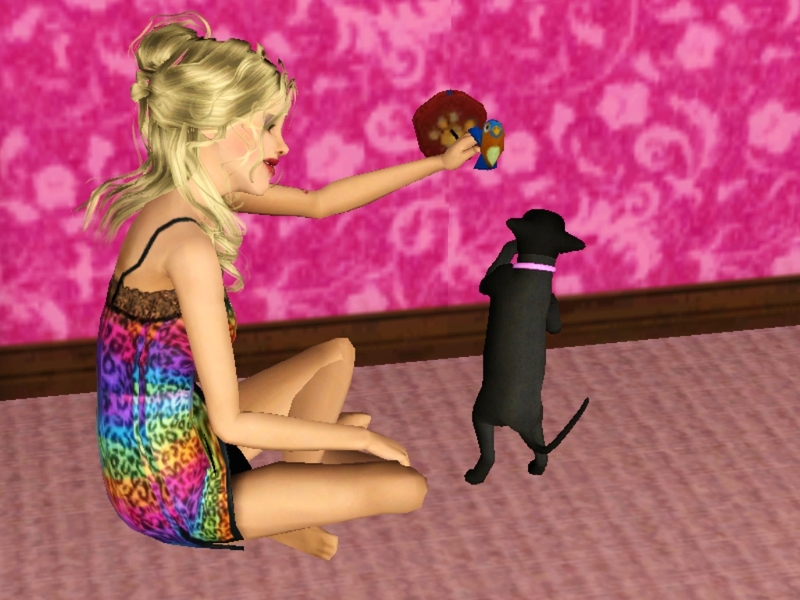 I had so many pics of Missy and Lucifer that I had to dedicate a chapter just to them. I absolutely adore Lucifer! 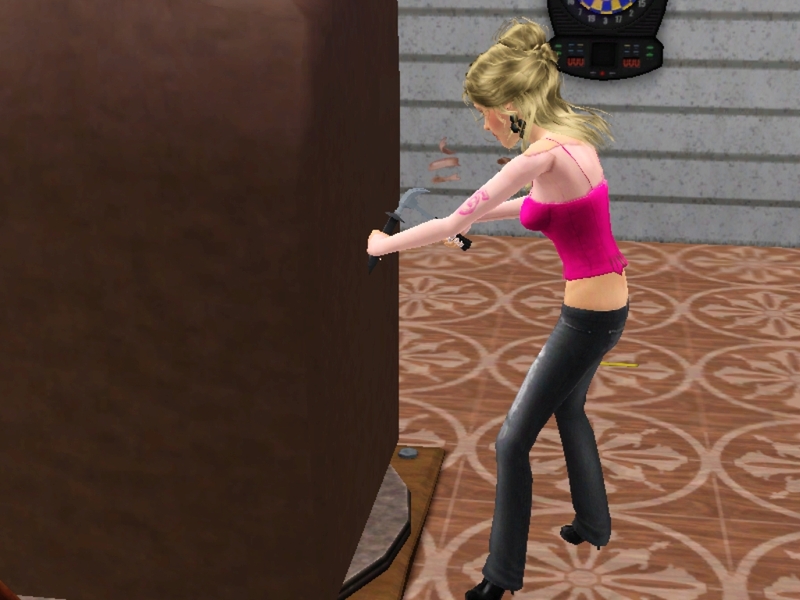 The pictures of her are hilarious. Oh how I loved this hahaha!! Thank you. 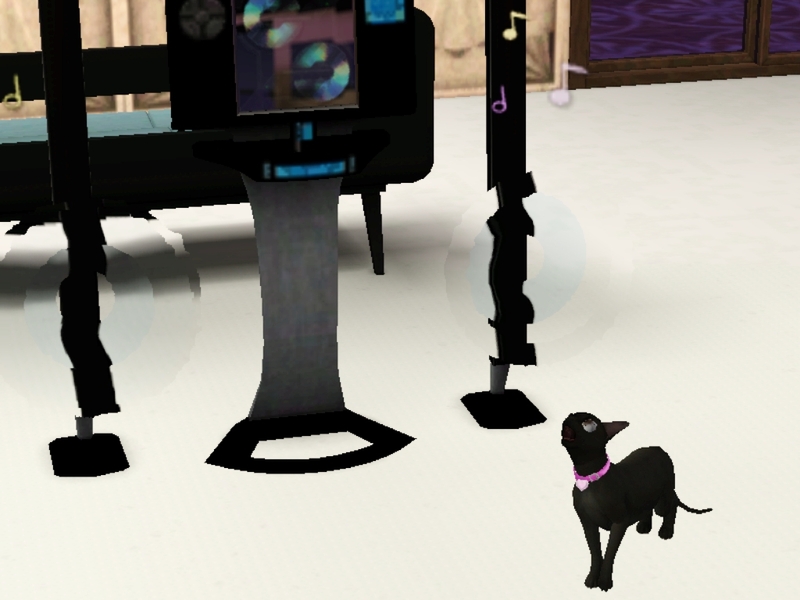 I had so many pictures of Missy & Lucifur I had to make a chapter just for them! 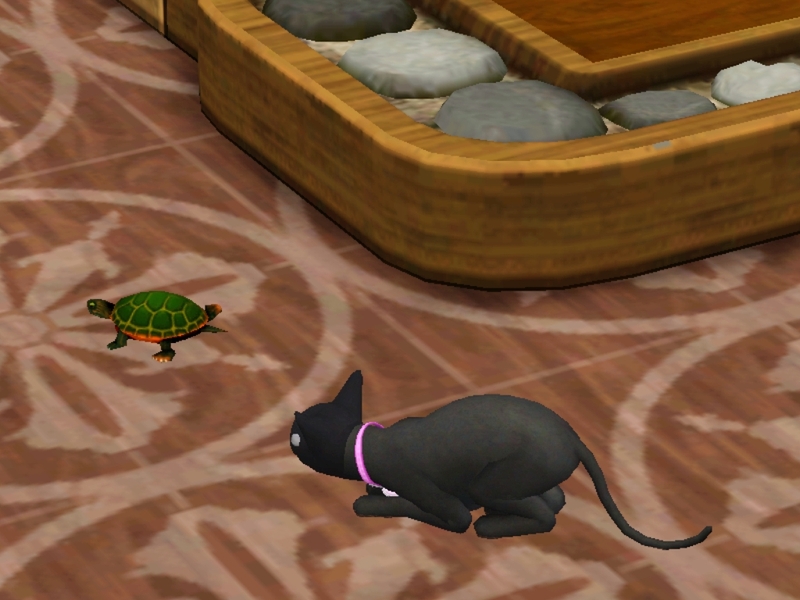 Aren’t sim cats the best?!?! They are both suppose to be evil, but in the end Missy & Lucifur are just a couple of goofballs.